So, I've been MIA for a few weeks. I got married! Yay! The fam and I went to Vegas for the wedding and for celebrating! Ever since I titled this blog, I haven't really liked it. It was a sort of spur of the moment thing. Now, with my married name, I have a fun nickname - Jomo, for Jordan Molina. My sister in law gave it to me and it stuck. I thought it would be a catchy title, so I just created a new blog page where that can be my url. 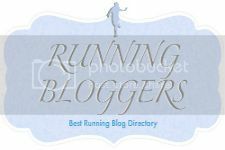 So, come continue to follow my running adventures at http://jomoruns.blogspot.com/ and read Jo Mo Runs!